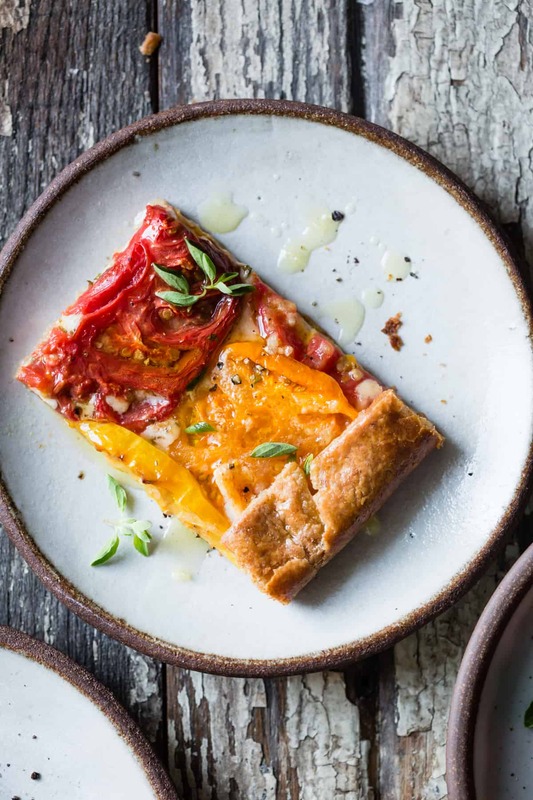 This rustic heirloom tomato tart showcases colorful heirlooms in a shatteringly flaky gluten-free crust kissed with fresh oregano, mozzarella, and parmesan. 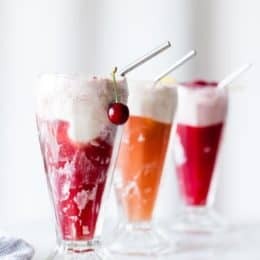 With TBG’s eighth blogiversary around the corner, I seem to be at the point in my blogging career (and mental state) when I start entirely forgetting about blog posts past. 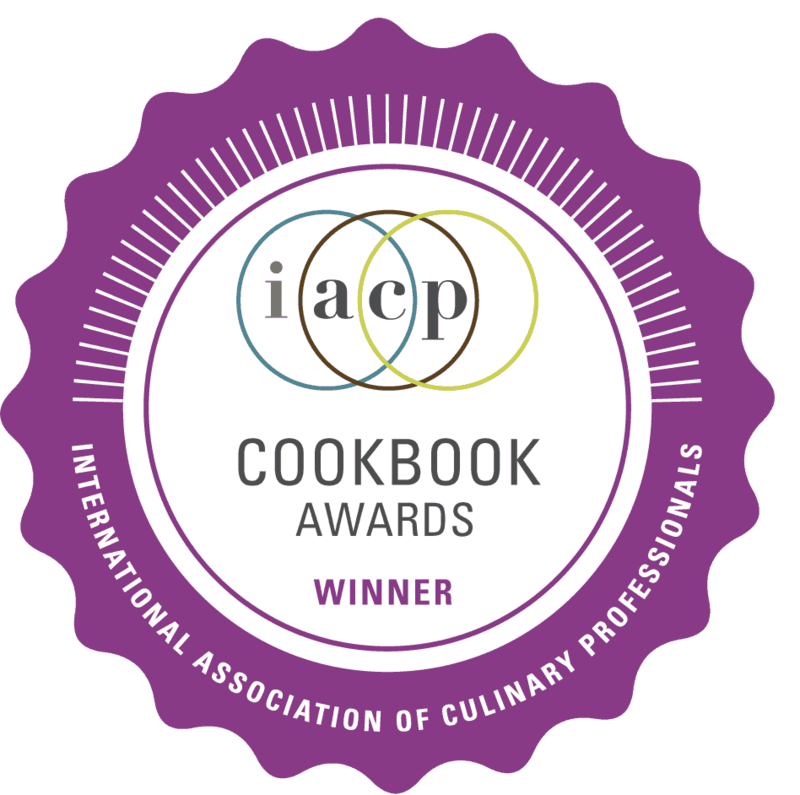 This has less to do with how good a particular dish was and more with the fact that I have over 500 recipes in print. Case in point, it appears that I’ve made quite a few flaky tomatoey tarts in my time. But you can never have too many tomato tarts, amiright? 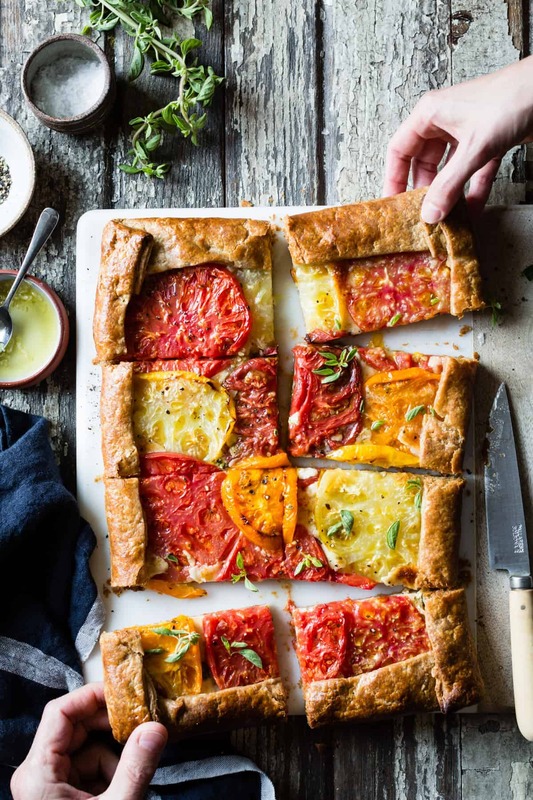 Before this heirloom tomato tart, there was this tomato pie from last year (which thankfully I do remember). 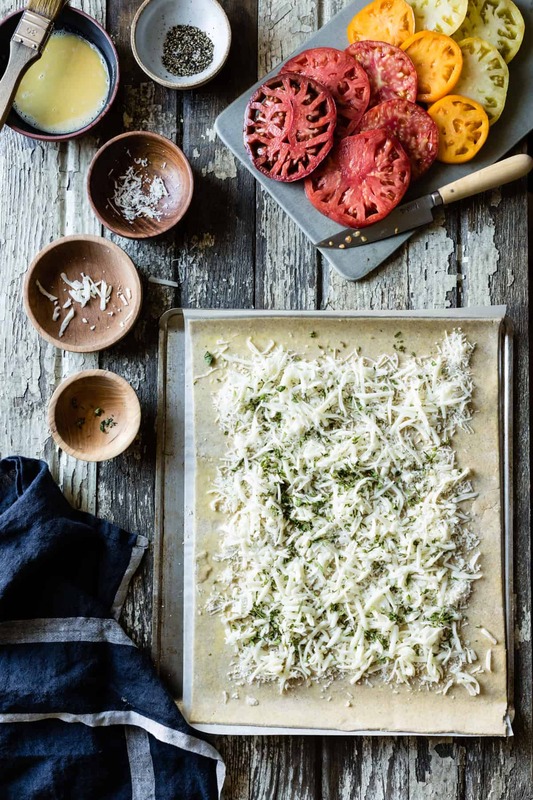 It’s adapted from a talented caterer friend of a friend, and involves cornmeal-dredged tomatoes layered into a parbaked pie shell with large amounts of parmesan and mozzarella. 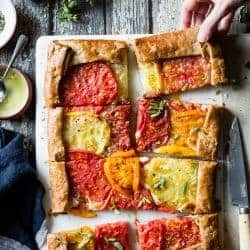 I decided to make this similar-yet-different rustic heirloom tomato tart when I ended up with six giant, super ripe heirlooms after a visit to Imperfect Produce last week. But it wasn’t until I bit into a finished slice – juicy tomato yielding to flaky crust and gooey cheese – that I remembered this roasted eggplant tomato tart from five years ago. This version layers tomatoes with roasted eggplant slices, goat cheese, and a quiche-like custard. And that’s not quite all of them. When I was searching just now for the eggplant tomato tart post, I came upon this zucchini tomato tart from 2010 made with sliced zucchini and cherry tomatoes and served up with a discussion of cook personalities vs. bakers, and a kooky ex-coworker who did naughty things in the walk-in. I had completely blocked out that entire post (and said job). These eggplant parmesan hand pies that I made with Sarah and Betty two years ago also have a similar tomato pie vibe going on. 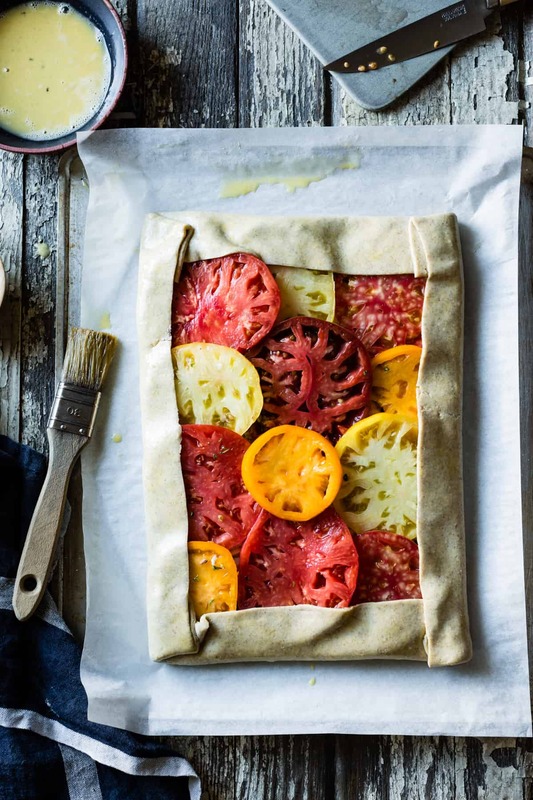 I can’t promise this rustic heirloom tomato tart will be the last of its kind I ever share (in fact, I’m dreaming up a polenta-crusted version). 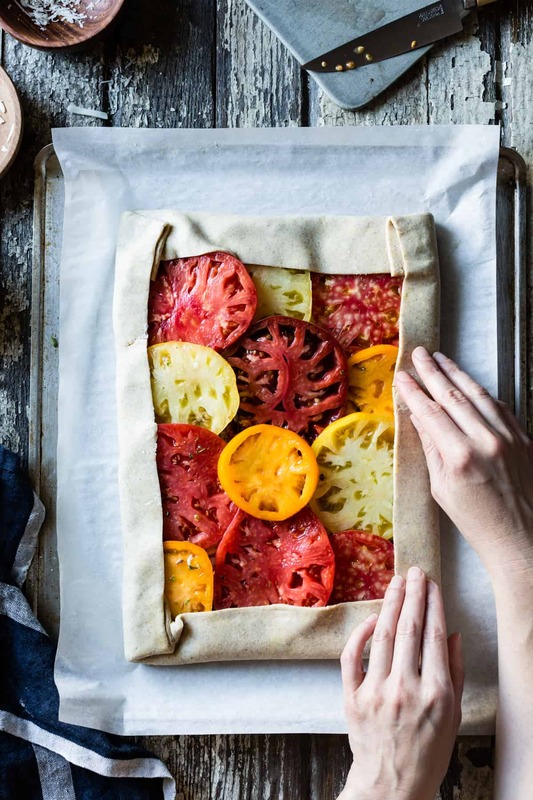 But with its rustic shape, gluten-free crust, and pretty mosaic of rainbow heirloom tomatoes, it may be my current favorite. The method is adapted from Baking Illustrated which gives a few tricks to help prevent crust sogginess. First, the tomatoes get sliced, sprinkled with salt, and left to drain on paper towels. Ripe heirlooms are especially juicy, so you really can’t let them drain too long. The bottom of the crust gets brushed with egg wash and covered in a thick layer of cheese which, when melted, helps create a barrier between fruit and crust. Baking the crust in the lower third of the oven helps it crisp, too. While the original recipe uses parbaked puff pastry, I changed the method a bit to make the tart work with my flaky gluten-free pie dough. I tweaked the ingredients to my taste, and added a dose of fresh oregano. 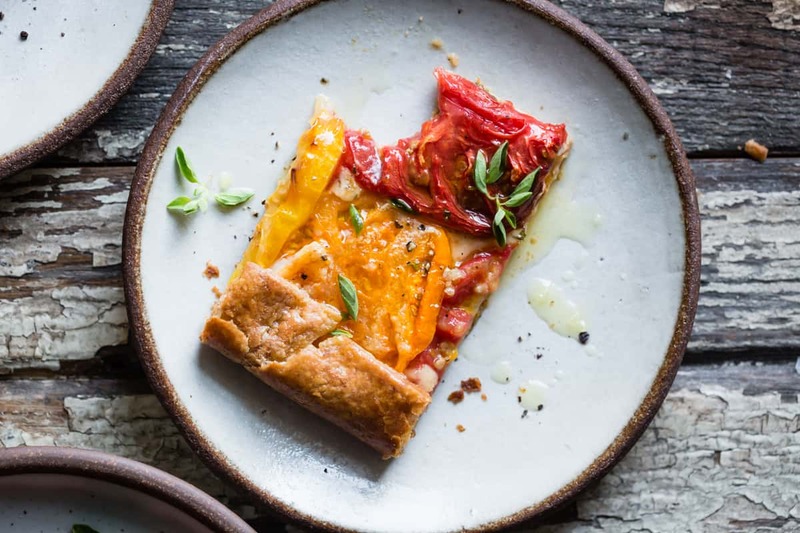 The assertive, savory flavor adds necessary depth to the sweet and mild tomatoes, cheese, and pastry along with a finish of garlicky olive oil. When baked, the tomatoes condense into pure tomato essence, not unlike really good tomato soup accompanied by gooey grilled cheese sandwiches, or like an extra buttery, rich pizza. The crust is sturdy enough to pick up and eat out of hand, or tender enough to cut with a fork on a plate. Enjoy a slice with a glass of rosé for an appetizer or snack, or make one or two slices into a meal with a big salad to the side. 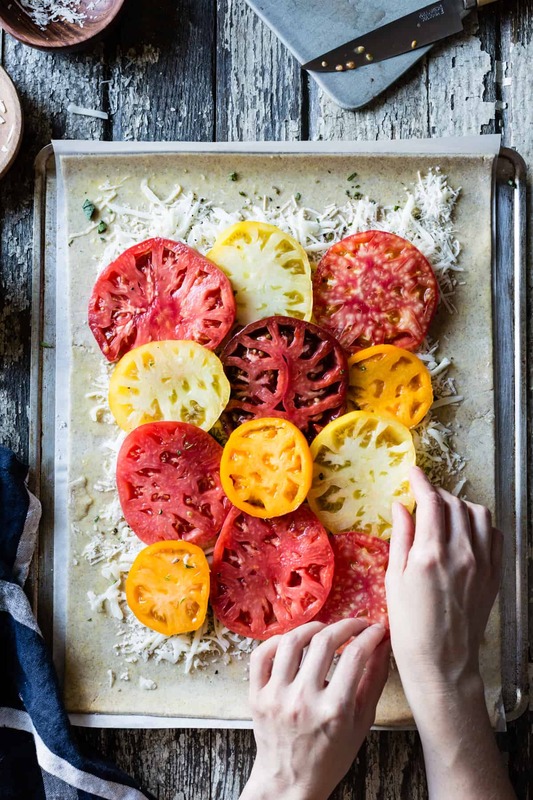 If heirloom tomatoes aren’t around, any good ripe tomatoes will work, especially dry-farmed early girls or romas as per the original recipe. My cousin Joelle, who has a serious green thumb, asked me to share this recipe to help with her homegrown tomato bounty, so here are some of my tomatoey favorites from the past 8 years of Bojon. I made the pasta salad with GF fusilli last week to bring on a hike in the redwoods – highly recommended on both counts! And we had the sopa azteca for dinner tonight – an old favorite. 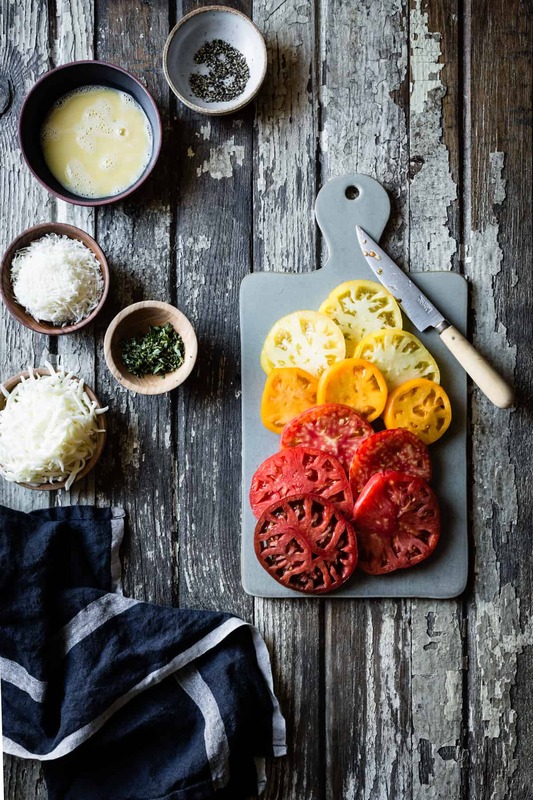 Got some favorite summer tomato recipes? Leave a note and/or link in the comments below! Be sure to give yourself time to make the dough, give it two turns, and let it chill; a few hours total, most of which is inactive. The dough can be made up to 3 days ahead and refrigerated airtight. 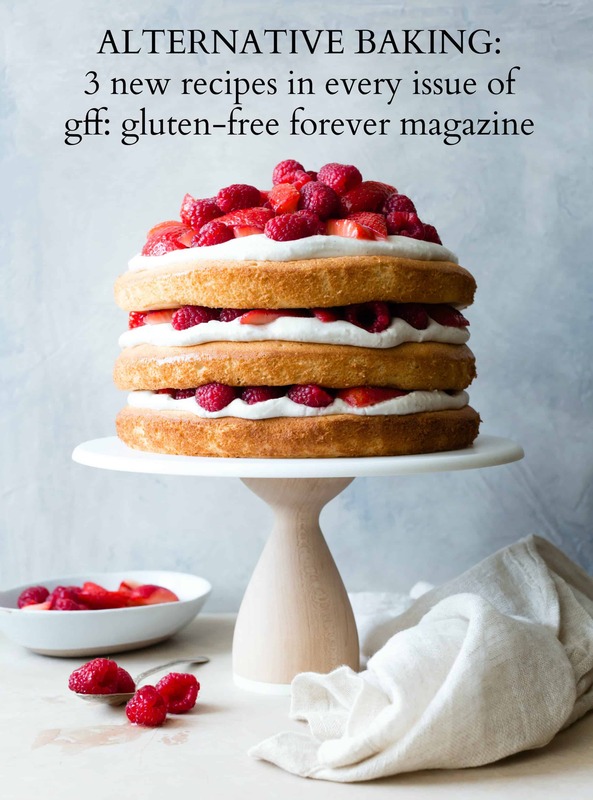 If gluten isn’t an issue, feel free to make this with your preferred pie dough or even store-bought puff pastry; you’ll need enough for one single-crust 9-inch pie. The tomatoes can be salted and drained while the dough chills. 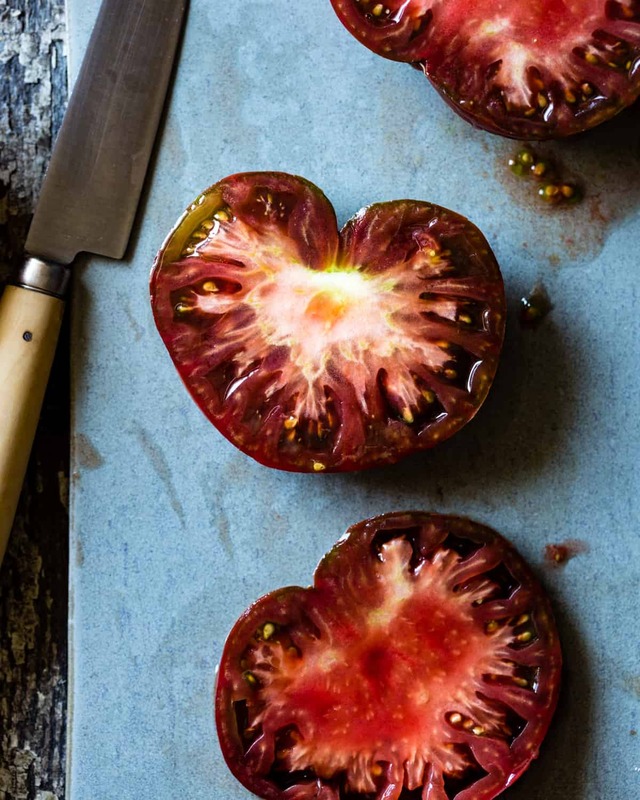 If you don’t have heirloom tomatoes, try this with any good, ripe tomatoes, particularly dense-fleshed ones such as dry-farmed early girls or romas. While the pie dough chills, spread the sliced tomatoes over a triple layer of paper towels placed on a rimmed baking sheet and sprinkle with ¼ teaspoon salt. Let sit 30 minutes (longer is fine), then blot the tomatoes dry with more paper towels, and flip them over onto a fresh stack of paper towels. Sprinkle the second sides with ¼ teaspoon salt and let sit 30 minutes. Blot dry. to adhere. When your rectangle measures 12 by 16 inches (30 by 40 cm), trim the sides so that they’re even and straight. If your dough becomes soft or sticky at any point, slip it onto a baking sheet, parchment and all, and chill it for 10–20 minutes to firm the butter. When the crust is rolled out, slide the dough onto a baking sheet (unrimmed if you’ve got one), still on the parchment, and chill until firm, 20 minutes. Position a rack in the lower third of the oven and preheat to 400ºF. Remove the dough from the refrigerator and brush the whole thing with a thin layer of beaten egg. Leaving a 1 ½ -inch rim on all sides, sprinkle evenly with the grated mozzarella, parmesan, and oregano. Layer the sliced, drained tomatoes over the top, overlapping them slightly, using only as many will fit in a single layer. Fold the dough edges over to form a crust, and brush with the beaten egg. Transfer the tart to the oven and bake until the crust is golden and the filling bubbles, 40-50 minutes, peeking under the crust to make sure it isn’t burning toward the end. While the tart bakes, stir together the olive oil and garlic. Remove the tart from the oven, drizzle with the garlic oil and a sprinkle of flaky salt and pepper, and finish with some oregano leaves. 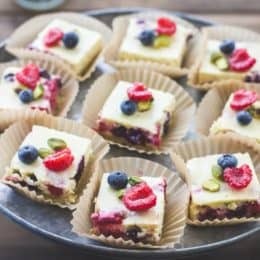 Cut the tart into rectangles and serve warm. The tart is best within a few hours of baking, but leftovers keep well, refrigerated airtight, for up to 3 days. Reheat slices in a cast iron skillet set over a low flame; this will help the bottom crust crisp. 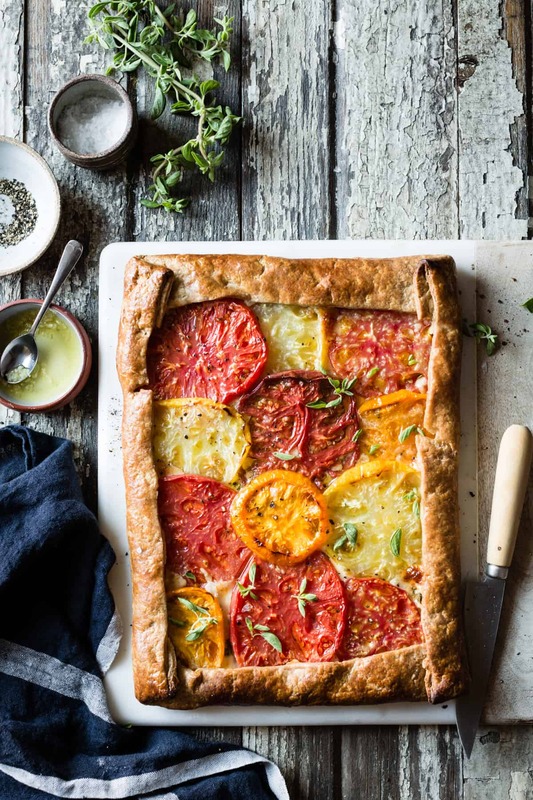 There’s no such thing as too many tomato tarts, and this one looks divine. The pictures are so beautiful and I love the deep color of the tomatoes. This tart is the bomb. I wish I had it for lunch right now. And I also wish I’d eating your slice too because it was sooooo good. Can never get enough tomatoes. I can’t believe there was a time when I didn’t like them – hated them, actually! 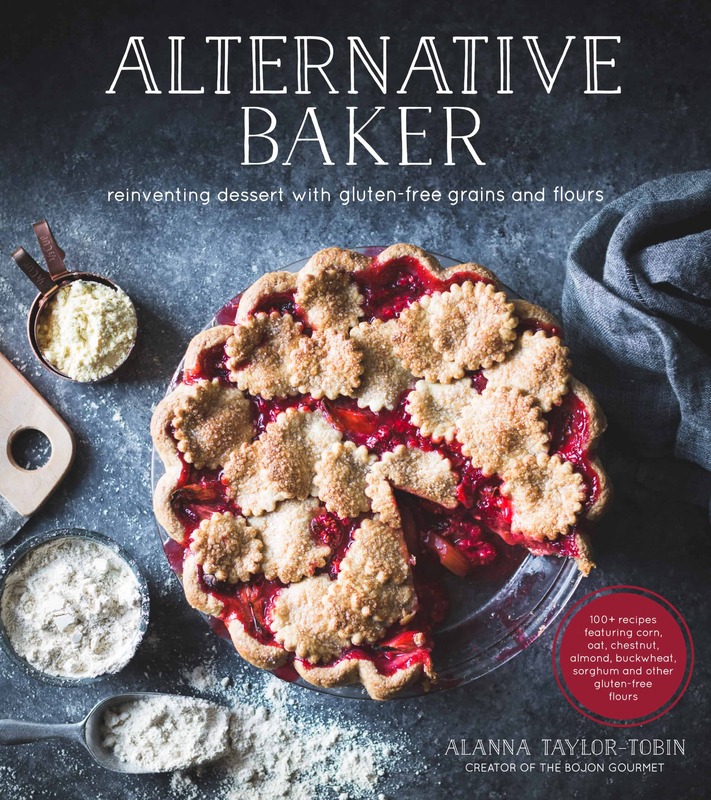 And that pie crust looks so flaky and crispy and amazing – I’ve never been able to create such gluten free awesomeness! Thanks James! Let me know if you give this crust a go – it’s my favorite! I was struggling to figure out what to make for lunch today. Not anymore! I have lots of tomatoes so thanks for the inspiration! It looks amazing! Tomato tarts are the best and this one is such a beauty! Wow! 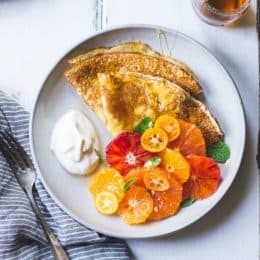 Your food photography is GORGEOUS! 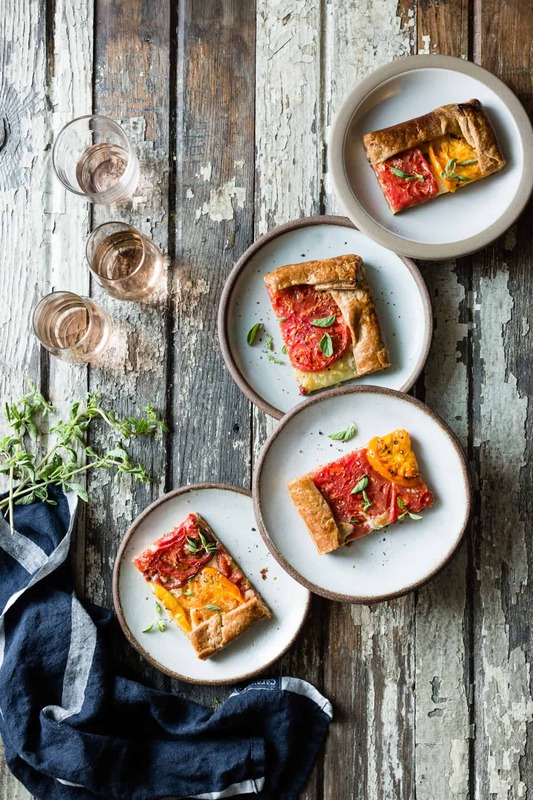 I love tomato tarts and your photos make them look more mouth watering than ever! Bejebus! I had to see this AFTER tomato season is over. So completely unfair. I can’t rewind or fast forward the seasons, only whine and complain. On the list for next year.